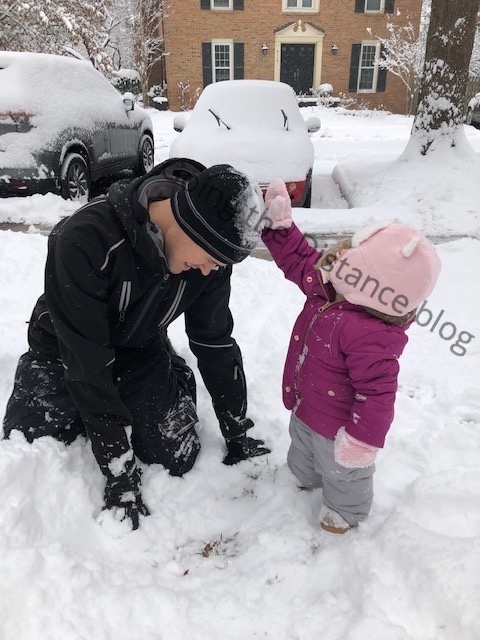 Going the Distance: SNOW much fun! Happy snow day from VA! We got over 8" around here as of the time I'm writing this (Sunday evening). Originally they were calling for 2-3" so I figured it would be a dud of a storm, but it picked up and some places got over a foot. 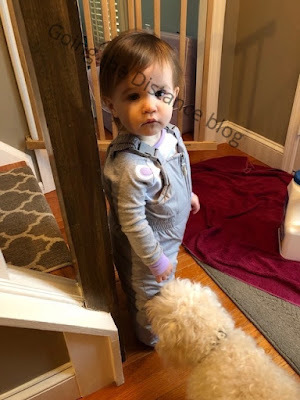 Last year Ella wasn't walking when we had snow, but this year...we got her in her snow suit after we ate breakfast, bundled up (and she somehow magically wore both her hat AND mittens), and we had so much fun playing in the snow yesterday morning. Today my school system is closed, and Ella's preschool is as well, so we're gonna have a nice little mommy/daughter day at home together. Hoping you're staying warm if it's chilly where you are, and that your day is as fun as Ella's was in the snow! OMG how precious is she all bundled up!! Seriously, I just want to squeeze her. Aw, I love it! She looks like she had the best time. 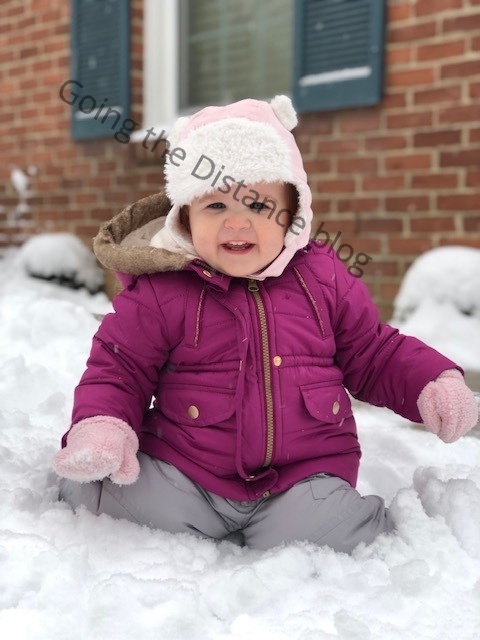 Oh my goodness - she's precious and these pictures in the snow are adorable! Looks like a fun time was had by all! Yes! My fingers and toes crossing worked, you got your snow day! Enjoy it! Gah, she is so precious all bundled up in her snow suit! There is not much cuter than a baby in snow gear! I can't believe all the snow that you got!! So much, but seeing the photos on IG of Ella playing in the snow were just too cute. Love her snow outfit! So jealous!!! I'm dying for snow here haha! 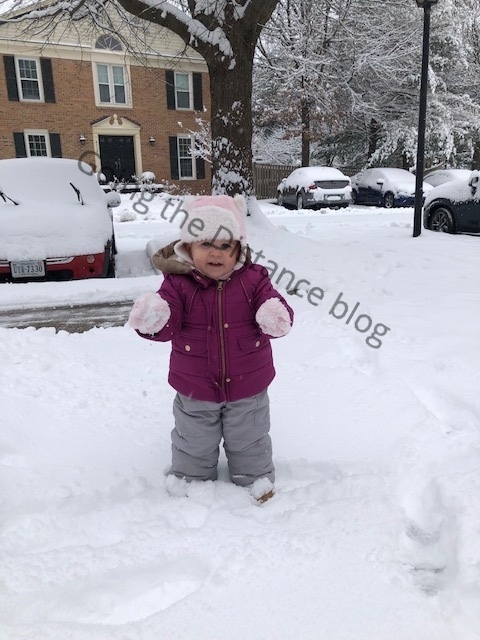 Love the cute pictures of Ella in the snow--she's adorable! She's so cute! It was probably so fun to watch her discover snow for the first time. You guys got more then we have in Michigan! She looks so darn cute in her outfit!!! :) She looks happy. Oh my goodness Ella looks so cute in her snowsuit playing in the snow. What a pretty winter wonderland!